Everybody needs a plumber at some point in their lives so if you’re running your own plumbing business, you can make a good amount of money. Once you’ve qualified as a plumber, you can start trying to find some clients and maybe even think about expanding in the future. But it’s not going to be quite as easy as that and getting your new plumbing business off the ground is going to be tough. There’s a lot of competition out there and any good plumbing business runs off the back of its regular customers. If you’re going to get those repeat customers, you need to follow these tips. Most plumbers will offer general work around the house like fixing leaky pipes or installing new radiators and sinks etc. but it’s important that you also have a niche. It’s the more specialist jobs where you’ll really make your money. For example, you could do some extra qualifications so you’re certified to service boilers. It’s a very quick job but it needs to be signed off by a professional plumber so you can charge a good price for servicing a boiler. Some plumbers decide to specialize in drain cleaning while others might do more bathrooms. By finding a niche, you open yourself up to better paid, specialist work and you also lend yourself more legitimacy when dealing with customers. It’s better to do one thing brilliantly than it is to do everything to a mediocre standard. You should start out by doing some research into different plumbing companies in the local areas. Then you can see which services everybody else is offering and which ones nobody is offering. By identifying that gap in the market and filling it, you’ll be a lot more likely to get customers. You also need to think about what you’re best at because there’s no use filling a gap in the market if you’re not doing a good job for those customers. Your materials costs are one of your biggest overheads so you might decide that you’re going to increase your profit margins by buying cheap stuff. That might make you a bit more money for a couple of jobs but then you’re going to start losing customers because the quality of work isn’t up to scratch. When you’re buying galvanized pipe fittings and copper pipe etc. for jobs, make sure that you’re spending a bit more money on materials from a reputable supplier. If you don’t, the work isn’t going to be as good as it can be and those customers aren’t going to use you again. When it comes to buying tools, cheap ones are a bit of a false economy. You might save a lot of money up front, but they won’t last very long before you need to replace them. It’s best to shell out for decent tools that will last you years rather than buying cheap ones every 6 months. It’s true that a lot of your work as a plumber is going to come from word of mouth. If you do a good job for a customer, they’ll recommend you to your family friends. But a lot of people make the mistake of thinking that you don’t really need a website if you’re running a plumbing company because word of mouth is enough. That’s not the case at all. Most people these days will go straight to Google if they need a plumber and they don’t already have one. If you haven’t got a website, you’re going to miss out on a lot of potential customers. Create a great, user-friendly website that lists all of your services. You should also try to incorporate a quote feature so people can get a rough idea of your prices. Lastly, you need to have all of your contact details on there as well. Social media is another marketing technique that plumbing companies often overlook, but every other business is doing it, so why don’t you use it as well? It’s a great tool for finding new customers by showcasing your work. You can put up pictures of your previous jobs on the site so potential customers can see how good the quality is. It’s also a great way for people to contact you easily so don’t neglect it. You can also post videos on your social media giving people tips on basic plumbing jobs. This shows that you’re an expert in your field and offers something for free to your customers. 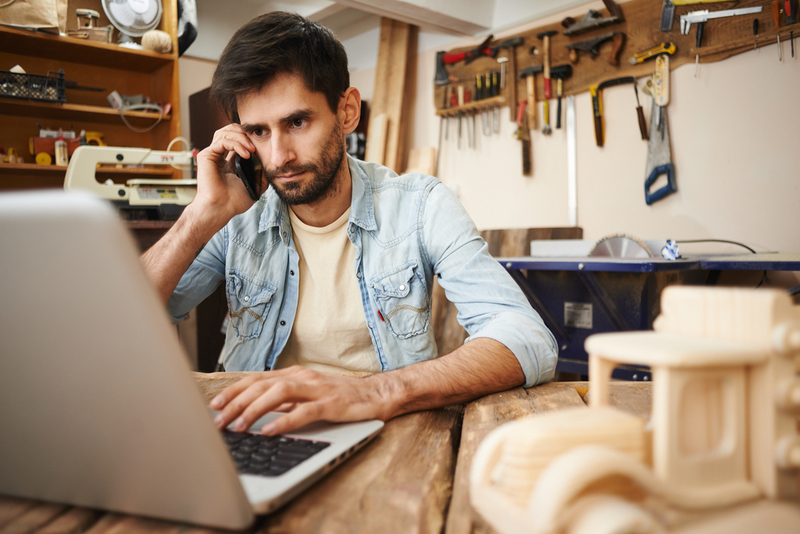 A great website and a social media page are both great ways to market your new plumbing business and reach a lot of potential customers without spending too much money. But not everybody is using social media, especially the older generation. If you focus all of your marketing efforts on the online world, you’re alienating those customers that don’t use the internet. Some of the old school marketing techniques like flyering are still just as effective as they’ve ever been. If you design a great flyer with a professional looking logo and proper branding on it, then post them around the local area, you’d be surprised how much business you’ll get. If people have got the flyer sitting around and they’re suddenly in need of a plumber, you’re probably going to be the first person they call. This is one of the most important things that you need to do before you take on any work. Even the most experienced plumbers can still make mistakes from time to time. If you accidentally cause damage to a customer’s home, you’ll have to pay for it from your own money and that could cripple your business entirely. But if you’ve got liability insurance, you can get a payout to cover the damages so you won’t end up in any serious financial trouble. Your new plumbing business will be a huge success if you make sure to follow these essential tips.